I have written before about how I felt about the 1st generation Chevrolet Traverse; I was clearly not a fan. It wasn’t that it was rubbish at all, it was a very successful model for Chevrolet, and in fact, it was a good and versatile almost full-size SUV. The problem however was it was not exceptional in anyway; an entrenched mid-pack performer. 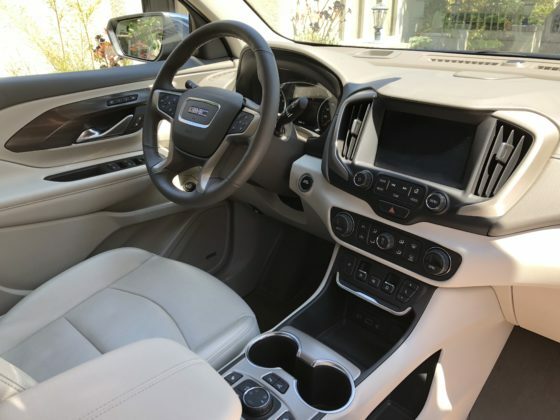 This all changed with the all-new 7-seater Traverse that is very exceptional in almost every way! It uses a completely new chassis called the C1XX, which is engineered for weight reduction, dimensional improvements, and significant technological integration. The new model now has a 2.0-inch longer wheelbase and is slightly longer by 0.7 inches while losing over 120 pounds, getting 3 more gears in its transmission, better brakes, better suspension and our test unit last year had a more powerful detuned V6 engine sourced from the Camaro! We loved it! 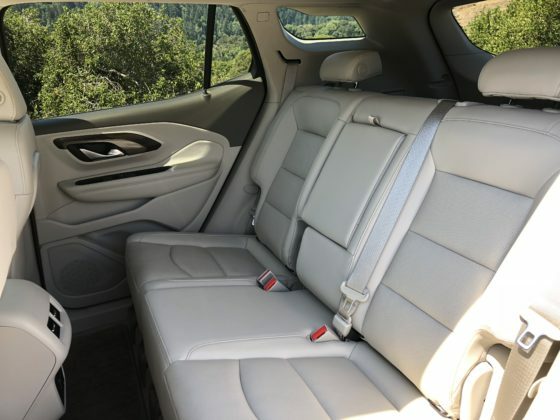 So, we looked very forward to how General Motors treated their smaller 5-seater 3rd generation Equinox that uses the new global flexible platform named D2XX shared with the Cruze, Volt, and our more upscale test 2nd generation GMC Terrain Denali model. 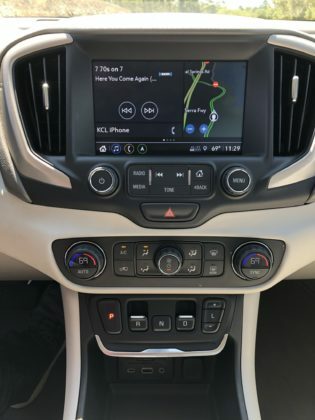 Just like with the Chevrolet Traverse/GMC Acadia, the Chevrolet Equinox/GMC Terrain models have shrunk in size but not in ability and capacity. The new wheelbase is 5.2 inches shorter, with a 4.7-inch shorter body, .1 inches wider, and .9 inches lower, yet it feels more spacious and vastly better designed all throughout. 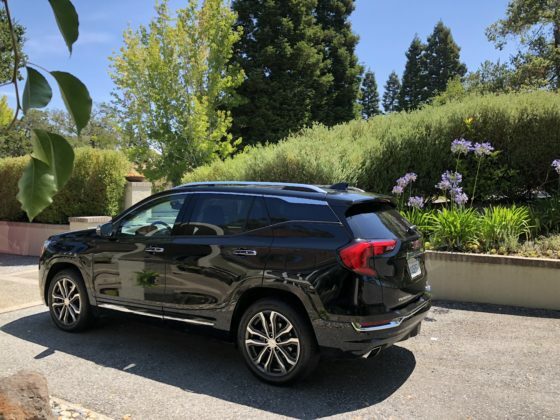 The more upscale GMC Terrain Denali AWD, compared to the Equinox in Metallic Ebony Twilight with a taupe-dominated theme inside, compares very well against its direct crossover competition, the Mazda CX-5, Ford Escape, Kia Sportage, Hyundai Tucson, Toyota RAV4 and Honda CR-V. 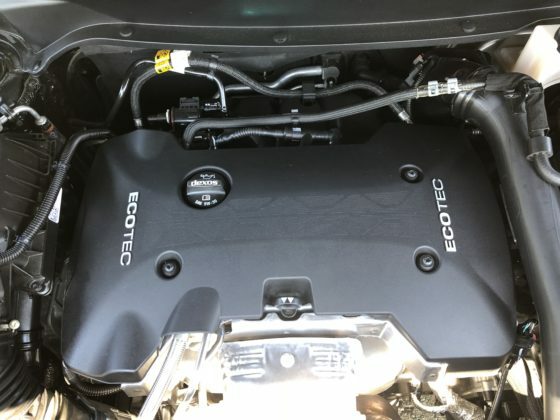 I would have loved to have the same 310 bhp 3.6-liter V6 from the Traverse/Acadia shoehorned into the Terrain or even the slightly higher tuned 2.0-liter Turbo, also used in the bigger brothers, which produces 5 more bhp and more critically 35 lb-ft more torque. Obviously, the Traverse/Acadia platforms are larger and heavier hence they require more oomph, but I would like to dream. 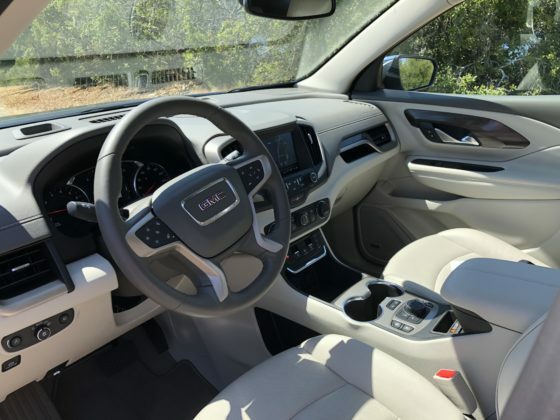 As it stands, if this GMC Terrain Denali were offered in our market, I would actually have it over its direct competition because of its better-balanced packaging, spaciousness, and comfort. Compared to its predecessor, our test unit weighs almost 350 pounds less and you really feel it on the road; it is so much nimbler and more athletic yet it does also give you the strong impression of a high-quality product. 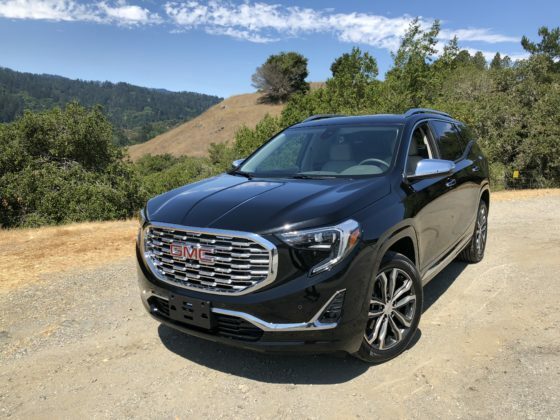 The GMC Terrain looks a lot better and is packaged with quite a bit more equipment than its more modest current Equinox sibling. 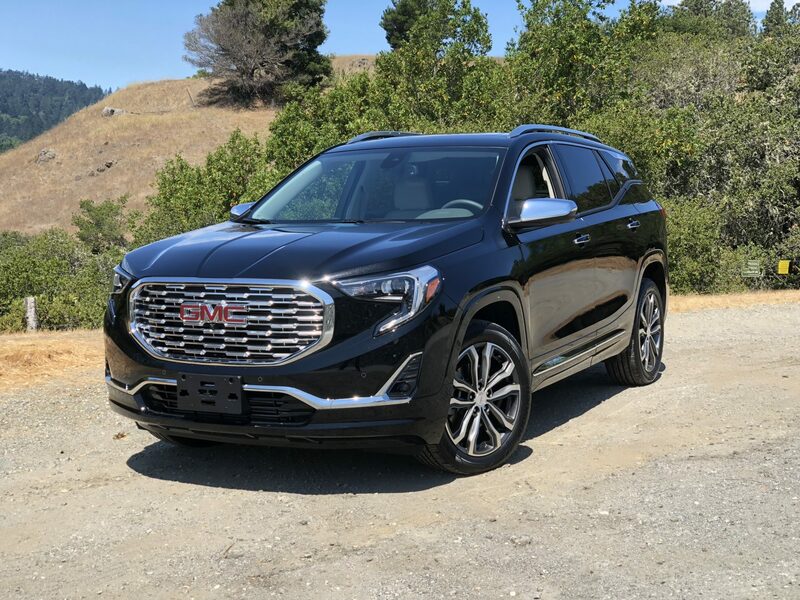 The Terrain Denali comes with model exclusive 19-inch alloys wrapped in 235/50R19 99H Hankook Ventus S1 Noble2 all-season tires managed with ample 12.6-inch front and 11.3-inch rear brake discs. The central lower dashboard-mounted push-button transmission system takes some getting used to but it is an easily adaptable oddity. Our test unit had excellent LED headlights, Traction Select system to manage the AWD behavior, Bose® 7-speaker audio, blind spot monitoring, a power liftgate, leather, 8.0-inch touchscreen infotainment system with navigation, panoramic sunroof, a 360-degree camera and an automatic parking system amongst a long list of usable active and passive features. It is my hope that General Motors finds a way to start offering our regional market its other gems in their stable, especially the Volt, Bolt, Traverse and this Terrain. A significantly posher version of the Chevrolet Equinox compact crossover, very competitive and desirable. We wish General Motors would share more of its strong stable in our market. Could be a bit more fuel efficient.